Australia has more than 850 species of birds including migrants. Of these about 630 species occur in Queensland. 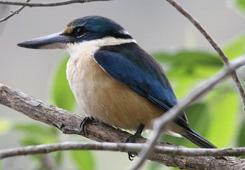 The Wet Tropics and Cairns region alone is home to over 450 species of birds, 12 of which are local endemics. I have a great passion for the birds of Tropical Australia and get great pleasure sharing my experiences with other birders. I am based in the Port Douglas / Julatten area about 1 hour's scenic drive north of Cairns. The area I cover includes a large range of very different habitats from sandy beaches to rocky shoreline and mangrove lined estuaries as well as wet and dry sclerophyll forests, lowland and high altitude rainforests and several wetlands. All of which provide superb birding habitat. 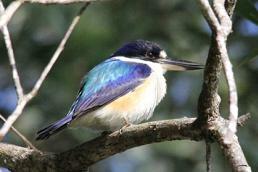 Birdwatching Tropical Australia specialises in individual and small group bird tours around Julatten and adjacent areas. Beginners, experienced birders and photographers are all catered for and routes can be adjust to suit particular interests such and those with target lists. Doug is also a keen amateur photographer and all the pictures used on this website were taken by him within the local birding area.Doug also organises Geocaching Tours and is willing to combine birding with geocaching or organise a specialised geocaching outing.